This 2006 publication from Twin Lights Publishers is not to be confused with the 2000 book with the same name. Bartlett had nothing to do with that. The new or second edition by Bartlett is one of its publisher’s best sellers. Before turning to a career as a freelance writer and photographer, Bartlett had founded and served as president of the Bartlett Group, a highly successful Atlanta-based public relations firm. The Bartlett Group handled marketing programs for a major planned community, hotels, resorts, timeshare properties, and many other kinds of businesses. In 1988, “PR Week” recognized the firm in the top 7 among more than 250 Atlanta agencies. In 1989, Bartlett moved her company to Naples and began working with many major Southwest Florida clients, including Robb and Stuckey and London Bay Homes. She created and headed up the first Home & Condo Dream Team for the highly successful annual Dream Home. She directed the initial publicity campaigns for both Miles Collier’s Collier Automotive Museum and Frances Pew Hayes’ Teddy Bear Museum, and she helped raise millions of dollars for worthy non-profit organizations, both directly and through corporate social responsibility programs. After two decades in the public relations business, Bartlett decided to redirect her career interests to travel writing, editing, and photography. 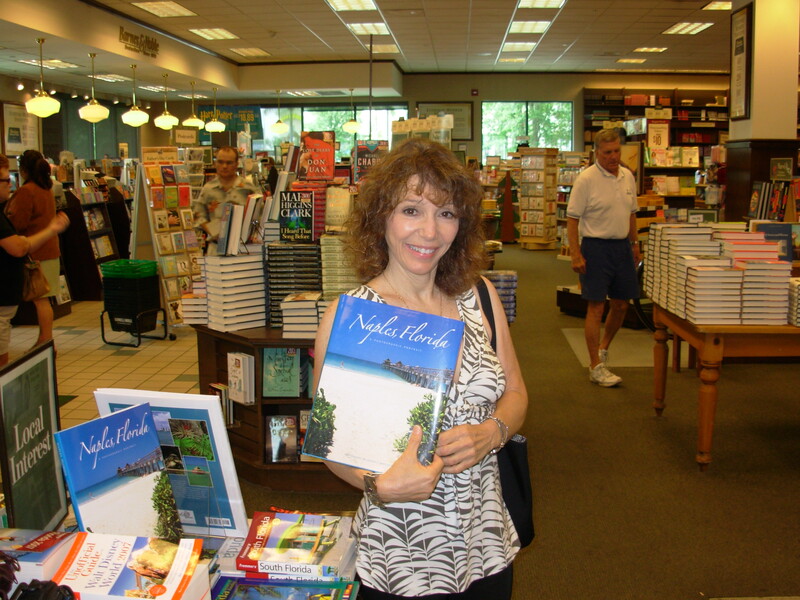 Before taking on her current assignment with “Gulfshore Life,” she did similar work for “N, The Magazine of Naples.” She also publishes travel articles, photographs, or both in many other print and online publications. Available for commercial assignment photography, Bartlett provides a sample of her vast portfolio on her website: karentbartlett.com. Bartlett’s photographs are a major feature of “The Sarasota, Sanibel Island and Naples Book,” and she contributed the section on romance and luxury destinations to “The Best Florida Getaways.” Forthcoming in 2008 are two new titles with text and photography by Bartlett: “Islands of the Southeast Coast: Amelia, Hilton Head, and Georgia’s Golden Isles” (from Twin Lights) and “Spaaaaaaah Florida: A Guide to Florida Spas” (from University Press of Florida). The Twin Lights editors became so impressed with Bartlett’s writing, which they discovered almost by accident when she began revising captions that had originally been written by someone else for the Naples book, that they asked her to do the writing for several of their other books. Karen T. Bartlett is a high-energy person, always in motion, and thus not cut out for studio work or the multi-hour waiting-in-place of the wildlife photographer. She needs to be “out there,” and she seeks to capture the emotion of the moment – to be, in a sense, part of the scene that she is shooting (though never as a subject). As a travel photographer, she says, you often only get once chance – one shot – at the nun disappearing into the cathedral or the expression on the snake-charmer’s face. You have to be alert and ready to pounce. The name is Whitehall Printing Company, but when you ask its president, Jeff Hirsch, what his company does he says that it manufactures books. This fine distinction cuts in two directions. On the one hand, Whitehall is not in the brochure, flyer, and postcard business. On the other, it has bookbinding equipment and can provide any publisher, organization, or individual with a finished product. With a very high national reputation, Whitehall counts among its satisfied customers many who choose to self-publish. Its large facility on Corporate Square off Radio Road is a busy, state-of-the art place where page and cover stock arrives at one end and boxes of finished books get shipped out at the other. Jeff’s father, Mike, began the business in Chicago in the late 1950s. Several relocations brought them to nearby Wheeling, Illinois where by the early 1980s the business found itself (once again) running out of room. It needed space to house a new press for book covers. After carefully researching possible new locations, Whitehall rented space in the J & C industrial area and installed the press there, later acquiring a lot in Corporate Square and relocating once again. This partial move to Naples occurred in 1983-4. Hirsch says that the economics of shipping covers back to Illinois made Naples as good a place as any from a business standpoint. Shippers gave Whitehall special incentives since many brought full trucks or air cargo capacity to Naples and left nearly empty. Before long, Whitehall had same-day air freight service for less than the cost of three-day truck service. Enjoying the Florida weather and lifestyle, company leaders decided to move the entire business to Naples, and by 1990 they acquired additional adjacent space in Corporate Square. The planning, building, and full transition of operations was completed in 1992. By starting with a clean slate, Hirsch and his partners were able to plan for an efficient work flow, for future growth, and even for future technologies. After long experience with self-published authors and with all kinds of organizations publishing books for the first time, this agile enterprise has learned how to consider the needs of novices. 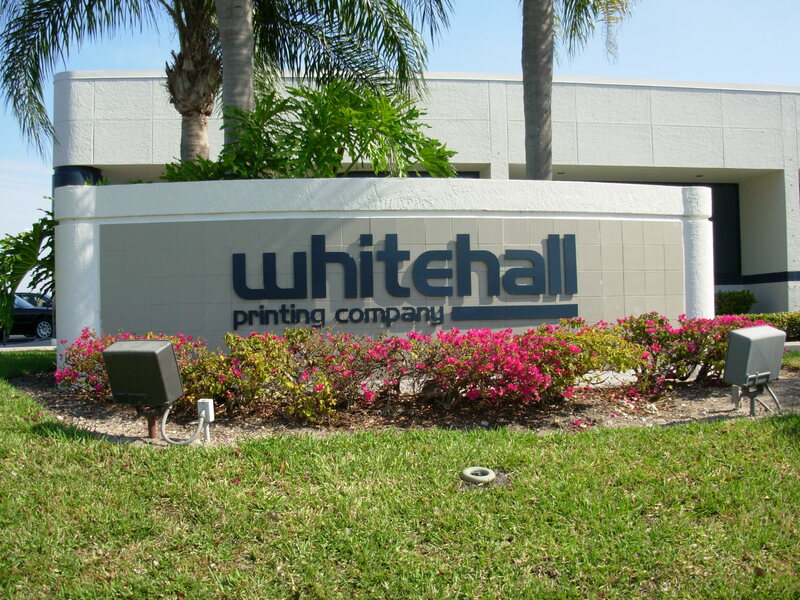 Whitehall benefits from being customer-friendly as it guides customers through the steps in the printing process. For many customers, the first point of contact is Sandra Yeyati, Whitehall’s Marketing Director. Yeyati helps customers in several ways. She prepares book printing quotations, sends out samples and information kits, and determines what specifications best serve the customer’s purpose. Once she understands the nature of the book and how the author plans to market it, Yeyati can recommend the most appropriate features. Yeyati can also assist in the layout and design of the book’s interior pages and its cover. Sometimes authors can do much of this work themselves; sometimes she will suggest that a particular objective requires the services of a graphic designer. Yeyati can answer questions about how many copies to print, about shipping and distribution, and about copyright issues. 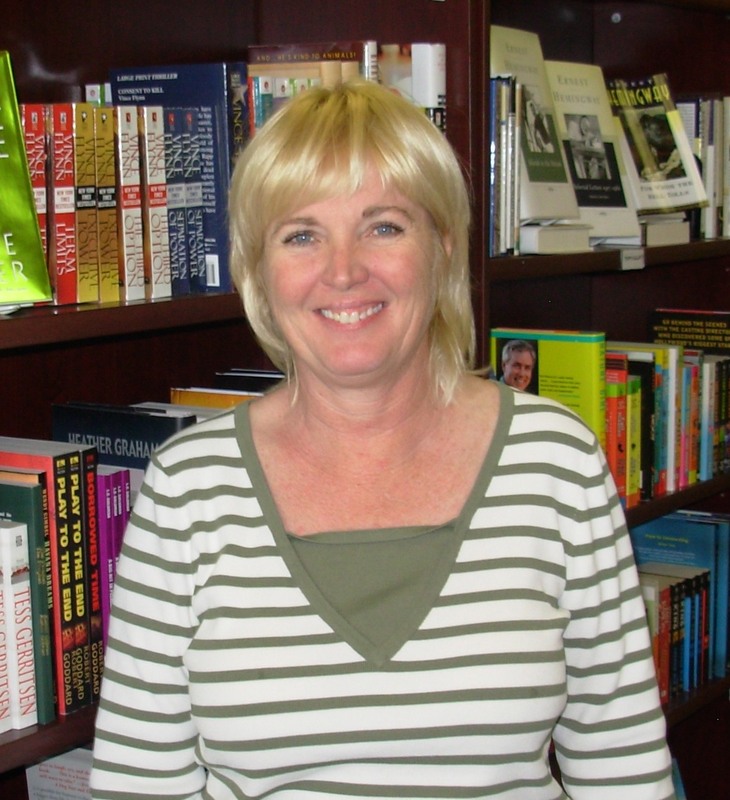 She can help authors obtain ISBN and Library of Congress numbers for their books. Once a project comes to Whitehall, two other people join the team – a customer service representative and a technical specialist. They stay in touch with the customer while preparing the book for printing, preflighting the customer’s digital files, and creating proofs. Every customer receives text and cover proofs for review and approval. Most authors prepare their manuscripts as text files in Microsoft Word. Though book pages can be formatted in Word, it is best for these files to be converted into professional software that is meant for book design and that readily communicates with high-end printing technology. Whitehall, through its website, makes available special software that allows conversion from Word and then permits customers to refine their files. Yeyati can test these digital files to make sure that they will run properly at the printing stage. Herself a writer, Yeyati loves to hear about people’s book projects. She is impressed by the contributions Whitehall’s authors and publishers make with diet books and exercise manuals, addiction recovery books, investment how-to’s, and more. She enjoys the poetry books and cookbooks, too. It excites her to see a self-published author fulfill the life-long dream of writing (and publishing) a book. While effective at working with self-publishing authors, Whitehall serves all kinds of customers and projects: directories, industrial catalogs, training manuals, university journals, religious books, and so forth. Find out more by visiting whitehallprinting.com. When I first heard about Carl Steinhouse’s new book, Barred, I thought it focused on the St. Louis, a ship carrying some 900 Jewish refugees that was turned way from Miami and forced to return to Europe. Thus, my first question in the interview that follows was a bit off-center, yet Carl made good use of it anyway. PKJ: What first got you interested in telling the story of the St. Louis? CS: Actually, this is not about the St Louis in the literal sense, because this story begins after the St. Louis incident, on 9/1/39, when the Germans invaded Poland. The St. Louis incident comes into play for its historical influence on later events, such as the Jews who arrived on the Quanza. Based on the St. Louis history, Eleanor Roosevelt, James MacDonald and some of their more liberal colleagues convinced FDR to let them handle this matter, knowing the State Department intended a repeat of the St. Louis affair (i.e., sending them back to their deaths in German-occupied Europe). These refugees, as a result, were admitted. PKJ: How does Barred fit into your “Living History” series? CS: I became interested in telling the story of FDR and the State Department almost from the beginning of my Holocaust research because in preparing each of the previous books, I learned that the draconian immigration policies of the US greatly hindered the escape of European Jews from every country in Europe occupied or about to be occupied by the Germans. Each of my other books contains scenes of desperate Jews being denied visas. So this most recent book was the result of a natural progression. PKJ: How does Barred differ from the other titles in the series? CS: This book explains the rationale (if you could call it that), motivations, and practices behind the denial of visas to Jews in mortal danger who could have been saved. My other books touch on the subject, but it deserved a full airing. 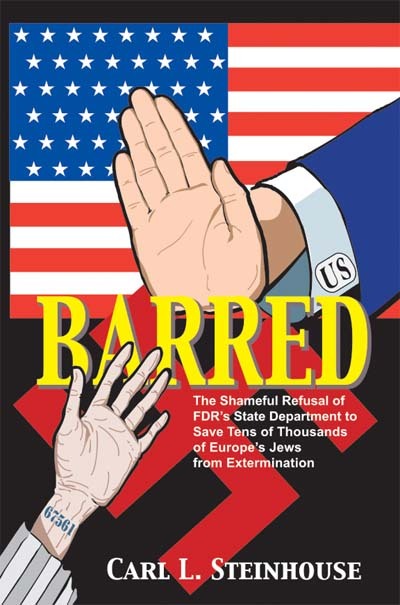 To bring home the enormity of the US government’s immoral handling of immigration during the Holocaust (State Department memos specifically targeted Jews for denial of visas simply because they were Jews), I had to portray, graphically and dramatically, the efforts of many, including survivors, to bring the horrors of the Holocaust to the attention of the State Department and FDR. So, once again, I dramatized the horrors the Nazis inflicted on the Jews and others, building on the testimony of those who risked their lives to witness the horrors. These people revealed in horrifying detail what they actually saw or experienced—details that were brought to the State Department and promptly dismissed and buried, or to FDR, who chose to let the State Department handle such matters (and also take the heat). PKJ: What were your main research sources for this book? CS: Biographies and autobiographies of Jan Karski and of inmates who escaped, as well of personalities in the free world, in the US and Switzerland, who brought the details to the attention of the State Department and FDR. I also explored books on Eleanor Roosevelt (who was a giant in the effort to save the Jews); many, many books about the Holocaust; and Internet sources. PKJ: Through whose eyes do you tell the story? CS: Through many eyes, depending on the scene. Through the eyes of Karski, who snuck into concentration camps posing as a guard and into the Warsaw Ghetto during the siege by the German Army; through the eyes of concentration camp escapees; through the eyes of Jewish representatives in Switzerland who received these stories as well as secret information imparted by high-ranking German officials risking their lives to bring out the truth, and the frustrations of these Jewish representatives, stonewalled by the State Department. Last, but not least, through the eyes of Americans, such as Breckenridge Long and Cordell Hull in the State Department, Harold Ickes in the Interior Department, FDR, Eleanor Roosevelt, Rabbi Stephen Wise, and Secretary of the Treasury Henry Morgenthau, Jr.
PKJ: What are the most important aspects of this story that you want readers to remember? CS: Of course the mantra of the Jewish people on the Holocaust: NEVER FORGET! Even in the free world countries, there are government officials with their own agendas, such as anti-Semitism, willing to further that agenda by supporting, however subtly, the actions of despots, dictators and monsters in genocide. PKJ: What were the special challenges of putting this book together? CS: The book was of far greater scope and complexity than my previous efforts. I was not only dealing once again with the horrors of the Holocaust, but also with the United States government and its policies during 1939-1945. And also with historical figures, some revered in the eyes of many. This complexity compelled me to footnote (actually, endnote) most of the facts, documents, and conversations. Being an expert in the Holocaust was not sufficient; I had to understand the workings of the US government during that period and the personalities that occupied it. Thus, this project took much longer than my previous efforts. Neapolitan Carl Steinhouse was one of the first subjects of the “Book Beat” column back in July 2006. For biographical information and comments on his first three books, go to naplessuntimes.com and use the search tool. Also, visit his website: carlsteinhouse.com. Do you want to shop for books, sell books, or have a book designed and printed? Between them, the husband and wife team of Jon Rothenberg and Mina Hemingway can take care of your book needs. As an owner of Presstige Printing, Jon can provide you with information and service on all your printing concerns. He calls his outfit a “single source solution.” As the owner of Mina Hemingway’s Florida Book Store in Naples, Mina will open her shelves of used and new books for your perusal and recommend titles for your reading pleasure. She might also take some old books off your hands. Together, Jon and Mina can guide you through a personally tailored process from the design through the production and pricing of your book via their Kilimanjaro Books printing program. Presstige Printing, located at 10940 Harmony Park Drive in Bonita Springs, has a twenty-five year history in the area. Four years ago, Jon Rothenberg joined Bob Wiedenmiller to become a co-owner of the firm, which is not only a one-stop printing establishment but also provides direct mail services. Presstige has a digital press for short run print-on-demand jobs as well as the traditional ink-to-paper printing press for high quality larger print runs. Many customers choose to have a book produced digitally in order to have a small number, perhaps 25 or 50, available for showing to stores, distributors, or trade publishers – or even for proofing purposes – before deciding on the quantity of the full print run. All Presstige Printing needs from a customer is a basic Word file. The less formatting the author has done, the better. Jon and his staff will reformat the material and send back design options, along the way developing an understanding of an appropriate cost to the author and an appropriate retail price for the finished product. Two recent books printed at Presstige are Skyblue Pink, a gorgeous collection of Gulf Coast Florida sunset photographs by Jason and Kristyn Schwartz, and the 2007 edition of Valerie Miller’s Naples Restaurant Guide. The latter is a Kilimanjaro Books project, though the former could just has well have been due to the joint input of Jon and Mina on design and pricing issues. Mina wrote the introduction to Skyblue Pink. She also wrote an introduction for a special printing of her grandfather’s classic The Old Man and the Sea, the sales of which benefit the Ocean Conservancy. 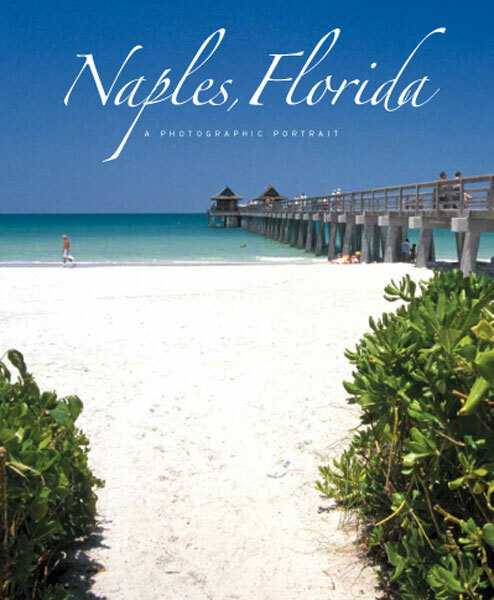 This book is only available locally, and most conveniently at Mina Hemingway’s Florida Book Store, which is located in the Pavilion Shopping Center at 857 Vanderbilt Beach Road. That same address had already been a destination book store for over twenty years before Mina started here business there this past September. Mina’s place is one of that vanishing breed of independent book stores in which customer and owner can genuinely enjoy talking about their reading interests. Mina is an enthusiast who has read widely, who keeps current, and who can match up customer interests with her own knowledge of related titles that the customer is bound to enjoy. There is no running to the computer – she can put her hand on the book suited to her customer’s taste or help the customer pick out a book for a gift. As the name of the store suggests, Mina stocks a great many titles of interest to Florida residents and visitors. She is also generous in allowing space for books by local authors. As her own name predicts, there is a sizeable number of titles related to her grandfather’s life and career – as well as editions both popular and rare of his books. There is also a generous selection of magazines. Other areas of specialization among the used and rare book holdings have to do with modern greats such as Edgar Rice Burroughs, Graham Greene, and other trailblazers. There is a good assortment of science fiction and an unusual collection of vintage paperbacks and magazines. Celebrity biographies are also available. And if Mina doesn’t have what you are looking for on her shelves, she may have it stored at home. So come in, grab a cup of Manatee Coffee (or buy a bag with Mina’s picture on it for home brew), browse, talk books and Hemingwayana with the engaging proprietor, and breathe in the atmosphere of a place where books are not just displayed and sold, but truly loved.